Take a trip back in time to life on the 1860s frontier during Vallecito Day on Saturday, March 28th from 10 a.m. to 4 p.m. at Vallecito County Park. This year’s event focuses on cattle drives and cattle ranching along the Southern Overland Trail, with cattle ranching demonstrations as well as the arrival of trial riders on horseback. 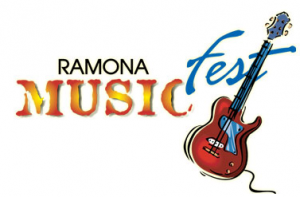 The Ramona Music Fest will be held March 28th in Ramona, featuring emerging talent and popular San Diego musicians playing everything from rock to reggae and from country to Americana. This all-day outdoor event benefits the Ramona Rotary and Kiwanis Clubs. The festival will be held at the Ramona Outdoor Community Center, also known as the Rodeo/Fair Grounds at the northeast end of downtown Ramona. For details, visit www.RamonaMusicFest.org. The Alpine American Legion Post 258 will present “The Red, White & Blue Poker Run” to support Alpine veterans on March 28th. Check in begins at 8:30 am and the run takes off at 10 a.m. from 3328 Alpine Blvd. and will travel to other local veteran posts. Proceeds from this event will support local Alpine American Veterans! Adrienne Nims will perform a free saxophone and flute concert on Saturday, March 28 at 3 p.m. in the Mission Trails Regional Park Visitor Center theater. Seating is limited to 93 people and are available on a first come, first served basis. For directions to the park, visit www.MTRP.org. The Easter Bunny Train will be rolling out of the Campo Depot at the Pacific Southwest Railway Museum on March 28 and 29 and on April 4th. This annual family event includes a ride aboard the vintage train and an Easter egg hunt. For details visit www.PSRM.org . East County Magazine invites you to come party with the press at our special event on Tuesday, March 31st at the San Pasqual Winery Tasting Room in La Mesa’s downtown village. We’ll be rolling out a sneak preview of our new special La Mesa community section, plus we’ll have some great food, wine-tasting, prizes and surprises. 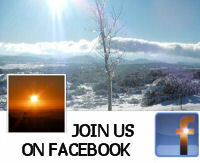 For reservations, visit EastCountyMagazine.org or call 619-698-7617. Santee Lakes invites the public to its annual Eggstravaganza on April 4th. This community event features continuous egg hunts for children ages 8 and under, live entertainment, a petting zoo, pony rides, craft booths and carnival rides brought to you by the City of Santee and the Padre Dam Municipal Water District. For full details, hop on over to www.SanteeLakes.com. The City of La Mesa will host April Pools Day on April 11th from 12 to 3 p.m. at the La Mesa Community Pool to promote water safety. Activities include swimming lessons, water safety and CPR presentations, synchronized swimming and water polo demonstrations and a mock rescue by city lifeguards and the fire department. April Pools day is a free event for the whole family—so bring your swimsuits!